FERRY SERVICE - WHY NOT ROOSEVELT ISLAND? Ferries will play a big role in the development of the Brooklyn, Queens and Bronx waterfronts, which will become more attractive because ferry commuting avoids congestion-pricing fees. A ferry takes less than 10 minutes to get from Greenpoint in Brooklyn to Wall Street. Subsidized ferry fares, paid from some part of the congestion-pricing fee, would encourage even more commuters to leave their cars behind. Ferry terminals, linked to surrounding neighborhoods by bus, are the fastest and cheapest form of transportation infrastructure. * West 70th Street to Lower Manhattan, a 15-20 minute trip for residents of Riverside South and the surrounding area, reducing traffic on the West Side and relieving pressure on the No. 1, No. 2 and No. 3 subway lines. * Randalls Island to Lower Manhattan, a 25-minute trip for Queens/Long Island commuters who could park in the hundreds of spaces under the Triborough Bridge, taking traffic off the FDR Drive. * Midland Beach in Staten Island to Lower Manhattan, a 22-minute trip, cutting traffic on the Verazzano Bridge-Gowanus Expressway corridor. 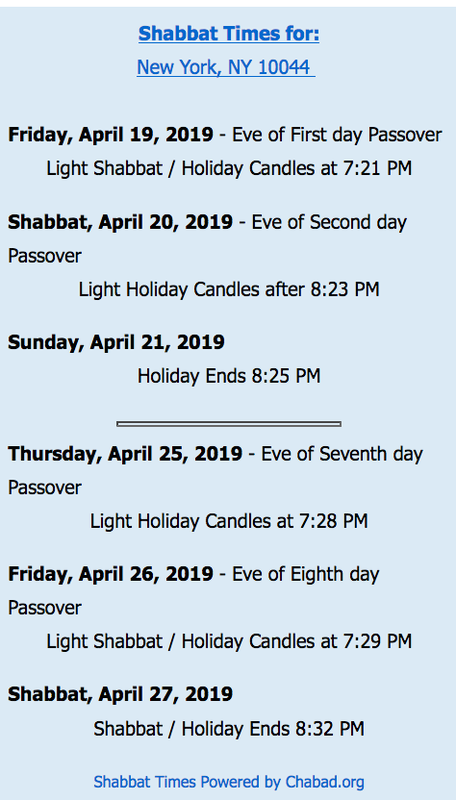 * Jamaica Bay service, with stops in Rockaway and at Floyd Bennett Field or Sheepshead Bay and in Bay Ridge, taking traffic off the Belt Parkway. 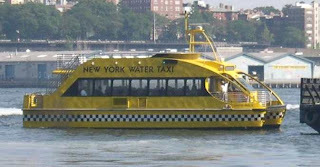 I KNOW THAT NEW YORK WATER TAXI WOULD LIKE TO INCLUDE A FERRY STOP ON ROOSEVELT ISLAND. NY WATER TAXI HAS HAD DISCUSSIONS WITH ROOSEVELT ISLAND PROPERTY OWNERS TO INCLUDE ROOSEVELT ISLAND ON AN EAST RIVER FERRY ROUTE. I DO NOT KNOW WHAT, IF ANY, INPUT RIOC HAS ON THIS MATTER. DOES ANYBODY KNOW WHAT ARE THE MAIN OBSTACLES TO FERRY SERVICE ON ROOSEVELT ISLAND AND HOW THEY CAN BE RESOLVED? IT'S OUTDOOR MOVIE NIGHT AT SOUTHPOINT PARK ON SATURDAY, JULY 14 STARTING AT APPROXIMATELY 9PM. THERE IS ABSOLUTELY NO PLACE IN NYC TO WATCH AN OUTDOOR MOVIE THAT IS MORE AWESOME AND INSPIRING THAN SOUTHPOINT PARK. 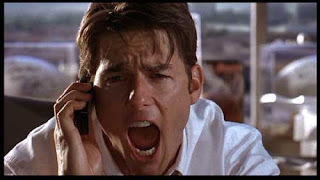 THE VOTING IS IN AND THE WINNING MOVIE IS ... JERRY McGUIRE. My husband and I are considering moving to Roosevelt Island with our two kids. We are a bit concerned about schooling there, particularly with the influx of so many more residential units, and the desire to attract families. Would you know where I can get information about existing schools (size, capacity, etc. )and whhat plans they may have to keep up with this growth? Thank you. 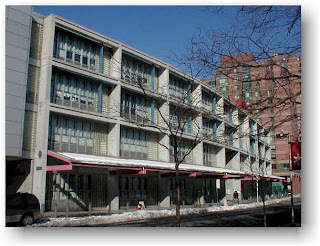 PS 217/IS 217 are the local schools on Roosevelt Island. Here is a link to the school portal. The question posed by this reader is precisely the reason why Roosevelt Islander was created - to utilize the collective knowledge, experience and good will of Roosevelt Islanders to inform and advise others in the community and elsewhere on issues concerning Roosevelt Island. Remember, this reader as well as others, may be our future neighbors. ONE OF THE PRIMARY GOALS OF THIS BLOG IS TO HELP PROVIDE CONCERNED CITIZENS EASY ACCESS TO THE HISTORICAL BACKGROUND OF HOW ROOSEVELT ISLAND HAS BEEN GOVERNED IN THE PAST AND TO PROMOTE OPENNESS AND TRANSPARENCY BY OUR CURRENT GOVERNMENTAL REPRESENTATIVES. TO DATE, THE CURRENT RIOC ADMINISTRATION HAS EXPRESSED BY WORDS AND DEEDS SIMILAR GOALS. ALSO, THE RIOC WEB SITE INCLUDES A LINK TO THEIR 2007 FINANCIAL STATEMENT AND 2007-08 FISCAL YEAR BUDGET. IT WOULD BE VERY HELPFUL IF RIOC COULD POST FINANCIAL STATEMENTS FOR PRIOR YEARS ON THEIR WEB SITE SO THAT COMPARISONS COULD BE MADE BETWEEN THE VARIOUS ANNUAL FINANCIAL STATEMENTS. IT WOULD BE OF GREAT USE TO THE COMMUNITY IF OTHER IMPORTANT ROOSEVELT ISLAND GOVERNING DOCUMENTS SUCH AS THE GENERAL DEVELOPMENT PLAN AND ALL AMENDMENTS THERETO BE MADE AVAILABLE TO THE PUBLIC. 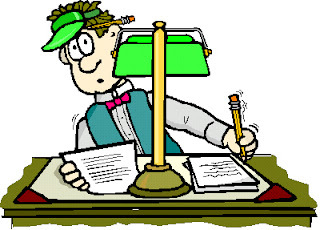 ANY IDEAS FOR ADDITIONAL DOCUMENTS THAT SHOULD BE MADE ACCESSIBLE TO THE PUBLIC WOULD BE WELCOME. BELOW IS AN EXCHANGE OF EMAIL MESSAGES I HAD YESTERDAY AND EARLIER THIS MORNING WITH STEPHEN SHANE THE PRESIDENT AND CHIEF EXECUTIVE OFFICER OF THE ROOSEVELT ISLAND OPERATING CORPORATION. MR SHANE WAS RECENTLY APPOINTED TO HIS POSITION FOLLOWING THE ELECTION OF GOVERNOR ELLIOT SPITZER. THE MAIN STREET WIRE HAS AN EXCELLENT PROFILE AND INTERVIEW WITH HIM. ...I wanted to let of you know, as the President of the Roosevelt Island Operating Corporation, that I have just started a blog about Roosevelt Island. 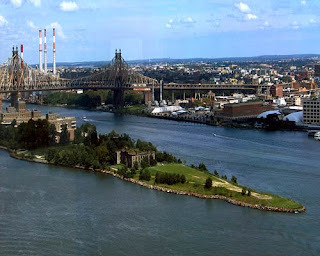 It is intended to provide information about Roosevelt Island to residents and visitors alike by linking to news articles, historical web sites and other sources as well as creating a 24/7 forum for those interested to comment, ask questions and engage in an online dialogue about issues facing the Island. Hopefully, the talent and knowledge base of those using Roosevelt Islander will contribute to improving the quality of life here. My aim to provide links to a variety of information sources on the web and then encourage readers to post their own comments based on their particular knowledge or opinion on the subject. 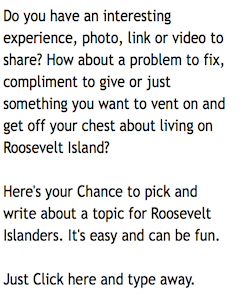 I would hope that Roosevelt Islander becomes an virtual 24/7 town hall for online discussion of any topic of interest to Roosevelt Islanders and a one stop location for online information about the island for anyone interested at any time of the day or night. For instance, suppose there is an article in the NY TImes, Post, Daily News, Wire, etc that reports on the proposed FDR Memorial at Southpoint Park (or any other issue such as the lack of appropriate retail stores, or the stroller on the red bus issue). I would cite that article with a brief summary, provide a link to the online version of the article, perhaps offer an opinion of my own and then provide a forum for any person who wished to publish their own comments on the article as well as comments on the comments. I hope that you as well as any member of the RIOC staff would offer their comment or responses as well. Specifically, take a look at my first post about the fireworks at Southpoint Park. That entry generated several comments including inquiries on (1) if RIOC has ever accounted for the financial need to charge $18 for viewing fireworks (2) are private events allowed at Southpoint park and (3) information on the proposed monument at Southpoint Park. These are questions that your constituents are asking. Wouldn't it be great if these questions, as well as many others can be addressed by those in the community, as well as RIOC officials, who have some knowledge on the subject area in a very short period of time. Also, take a look at some of the real estate and neighborhood blogs that I linked to on the right side of the page. These are examples to one extent or another of the type of thing I hope to do. Neighborhood blogging is not something new. It is very common and when Roosevelt Island is mentioned it is usually not a positive story. Read this story and follow the link to see what I mean. Blogging done right spreads opinion, information and hopefully a little bit of knowledge. Nothing wrong with that is there? Finally, I hope that Roosevelt Islander becomes an effective communication tool between RIOC and the community so that each of us can work together resolve conflicts, avoid misunderstandings and contribute ideas with the goal of improving the quality of life on Roosevelt Island. AREA OPEN FOR VIEWING THE FIREWORKS."? 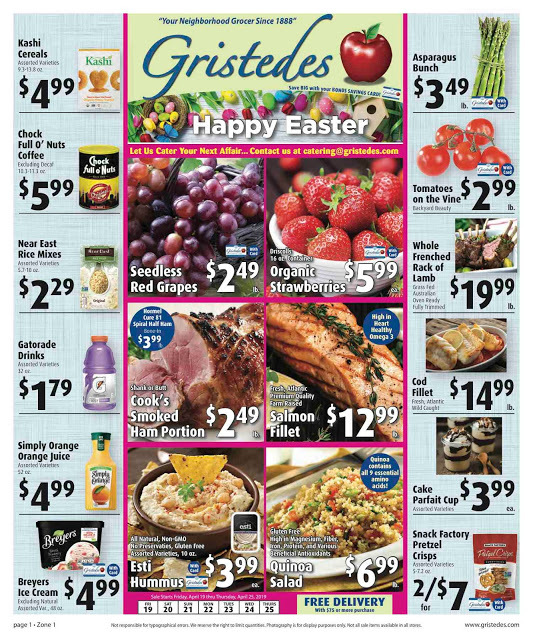 paragraph 3 of your e mail)? phone or e mail or snail mail or in person. public hearings, town hall meetings, open doors and personal exchange. improvement within the means and purview of RIOC. open. If I misheard or misunderstood you I will correct and apologize. this specific event that you refer to. display at a public venue such as Southpoint Park is quite legitmate. would be more than happy to apologize to you and anyone else at RIOC. fantastic views afforded by the tram and Roosevelt Island in general. addition to those who ask questions of RIOC. 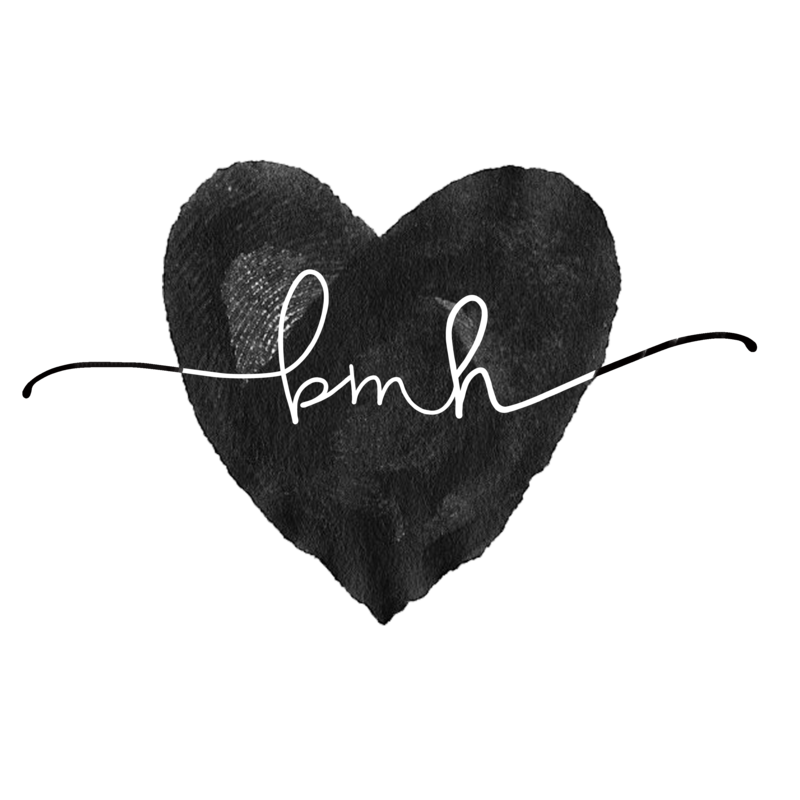 the blog. Do I have your permission to post your email. which I try to avoid, anything I say is for attribution. IT'S OUTDOOR MOVIE NIGHT AT SOUTHPOINT PARK ON SATURDAY, JULY 14 STARTING AT APPROXIMATELY 9PM. THERE IS ABSOLUTELY NO PLACE IN NYC TO WATCH AN OUTDOOR MOVIE THAT IS MORE AWESOME AND INSPIRING THAN SOUTHPOINT PARK. THOSE WHO ATTENDED LAST WEEK'S FILM, GHOSTBUSTERS, HAD A GREAT TIME. GOOD JOB BY THOSE AT RIOC WHO ORGANIZED EVENT. 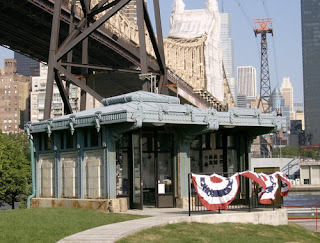 CONGRATULATIONS TO JUDY BERDY OF THE ROOSEVELT ISLAND HISTORICAL SOCIETY ON THE GRAND OPENING OF THE VISITOR KIOSK CENTER LOCATED ON THE LAWN ADJACENT TO THE TRAMWAY STATION.THIS FOUR YEAR PROJECT, WITH COSTS OF OVER $300,000 IN PUBLIC FUNDS, BRINGS ONE OF THE FIVE ORIGINAL TROLLEY KIOSKS FROM THE 59TH STREET BRIDGE (OR QUEENSBORO BRIDGE IF YOU PREFER) TO ROOSEVELT ISLAND. THE KIOSK WILL OFFER VISITOR INFORMATION, HISTORICAL EXHIBITS AND TOURS OF THE ISLAND. FORMER CITY COUNCIL PRESIDENT GIFFORD MILLER, CURRENT CITY COUNCIL WOMAN JESSICA LAPIN AND STATE SENATOR JOSE SERRANO WERE INSTRUMENTAL IN SECURING FUNDING FOR THE KIOSK.THE OPENING OF THE VISITOR KIOSK WAS REPORTED BY BOTH THE NEW YORK SUN AND MAIN STREET WIRE.